Depending on who you ask, for millions around the world, the legendary Mongol warrior Genghis Khan has come to be known as either the one who ruled the largest land mass extending across Central Asia or the one who devastated tribes leaving behind a bloody trail as they looked at expanding their empire. And that is the association with Mongolia, for many of us at least. It was only until 1992, the official foreign influence on the nineteenth largest nation in the world had come to an end. Since then, the road to sustain political and financial freedom has been rocky for the land of open greens, its 2.8 million people, wild horses and beautiful blue skies. As in the case with many developing nations during the early 1900’s, football was introduced to Mongolia by returning students who journeyed abroad to seek education. Inspired by the notion of social modernization in 1925, the Minister of Education at the time, Erdene-Batukhan visited neighboring Soviet Union as well as countries in Western Europe to gain knowledge on the far more developed educational systems with the intention of implementing them back in Mongolia. A year later, 40 students were selected and enrolled in schools across France and Germany, as part of the initial exchange program. Few were sent across to Soviet Union. However, as a result of increasing Soviet influence on Mongolia, the climate of educational freedom was gradually diminishing. Subsequently, between 1929 and 1932, all students studying abroad were asked to return. With their return, arrived football. Having gained traction among the local youth, Mongolia saw the formation of its first ever football team in 1936 – a team made up of workers from the coal mining factory of Nalaikh, 40 kilometers from the capital, Ulaanbaatar which is considered to be among the most dangerous coal mine in the world in present times. Their first game was against Russian workers employed at the same quarry. Yet, the popularity of the game did not pick up until a few decades later as Mongolia, under the Soviet voice, suffered the brutal Stalinist purges and two successful conflicts against Japan in 1939 and 1945, respectively. The two wars had taken its toll exposing diminished resources, key to the basic survival of the local population. In 1950, the Mongolian Revolutionary Party, in an attempt to improve the living conditions of the common man, realized the need to turn to socialism. They assumed that in doing so, the financial structure of the nation would develop. Similarly, football achieved popular status with an increase number of participants across the nation, thanks to the socialist government’s initiative to establish sports communities and organized football competitions. Mentors from the Soviet Union were invited to help in the development of the game with roles including scouting potential players, team selections, providing consistent training and organized coaching and referee development programs. During this period, the nation played its first international games in a local tournament featuring teams from Russia, China and Vietnam. As the game progressed, so was the need to have a platform to govern it, leading to the formation of the Mongolian Football Federation in 1959. The nation was on the right track but a recession in 1990 caused a dent in that progress, and the subsequent financial crunch affected its development. The resulting democratic revolution brought about fundamental reformations across the political spectrum. Football was left to defend itself during these distressing times. 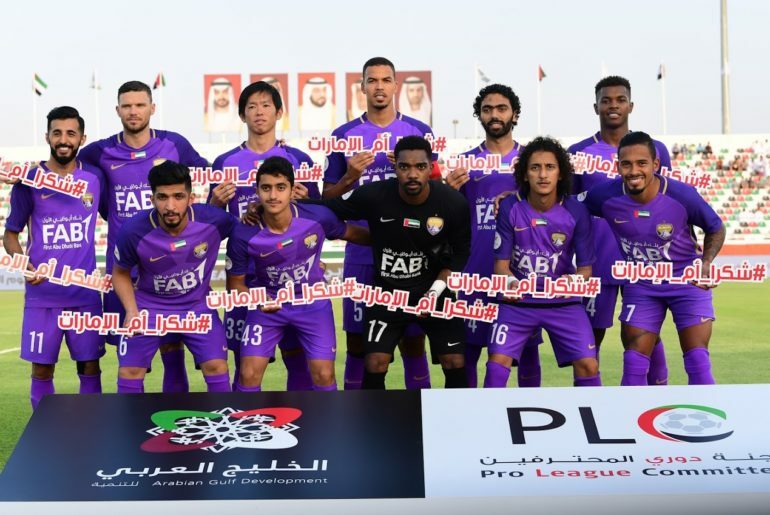 Still, seven years down the line a group of passionate football fans initiated a movement to bring about the restructuring of the domestic league. Their efforts also witnessed the Federation being accepted as a full member of the Asian Football Confederation in 1998 and successively being accepted into FIFA the governing body a few weeks later. 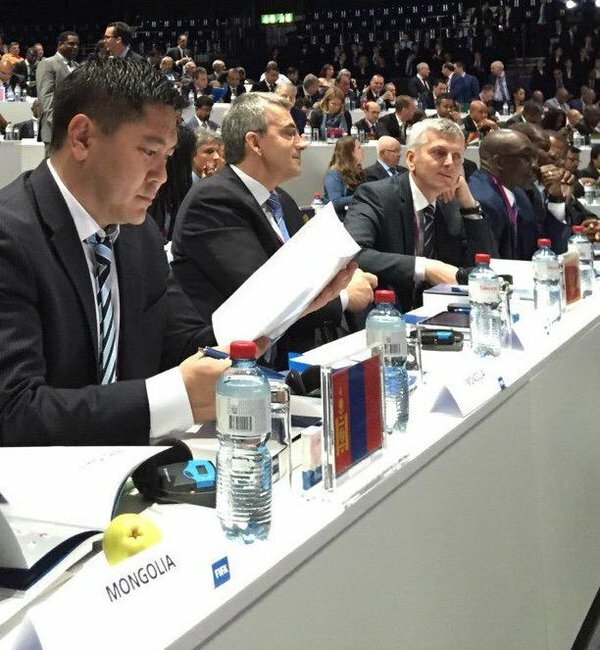 Inclusion into FIFA meant that the Mongolian Football Federation could now apply for much needed funds through the development grants provided by FIFA, eventually allowing for promising conditions to encourage participation in the game across the nation. Domestic football in Mongolia has witnessed an improvement since its earlier days, but progress is slowed down as a result of access to playing time. It was only a few decades ago that saw the formation of an organized football league with the number of participating teams fluctuating every year. Additionally, when almost all the associations within FIFA play a minimum of eight months, the harsh and extreme climatic conditions in Mongolia meant that its National Premier League games would have to be played within a four to five month time period. Hence, there exists an urgent need to reevaluate the current league structure along with infrastructure to improve playing standards. In recent times, the FA has had its own share of issues to deal with. In 2014, former chief Ganbold Buyannemekh was suspended from the game for five years for his role in the scandal surrounding then AFC President Mohammed Bin Hammam. He was accused of accepting bribes in 2009 and then again in 2011 to back Bin Hammam’s election to the executive committee and the FIFA Presidency, respectively. However, things do look positive under new President Ganbaatar Amgalanbaatar. The prize money for its premier league has also seen an increase thanks to the new management with the top three clubs in the league taking home a humble £20,000, £15,000 and £10,000 – an increase from £8k, $6K and $4K received under previous management. Enkhjin Batsumber, co-chairman of league club Bayangol FC, explains the importance of the change in the Presidency of the MFF. In 2014, Bayangol FC made some noise across the globe, and interestingly placed Mongolian football on the map to a certain extent, after the newly formed club hired Paul Watson (current co-owner) to drive them forward. The initiative behind the club’s formation was clear. The idea was to bring about a change, a new atmosphere, a new inspiration to the football community in Mongolia. The club looked towards the metropolis of London as an example wherein all clubs were named after districts and regions within the city, eventually naming the club after a district in the capital city of Ulaanbaatar. Enkhjin is pleased that Bayangol continues to rely on foreign leadership to motivate and educate players after recently hiring a young English manager. Shadab Iftikhar – a British-Pakistani – and one of the few Asians to have worked in British football, made the trip to Mongolia from his home town of Preston. Prior to the move, Shadab had coached at English non-league football and had previously acted as a scout under Roberto Martinez at Wigan and Everton. But this opportunity would never be if it wasn’t for a phone call according to Shadab. 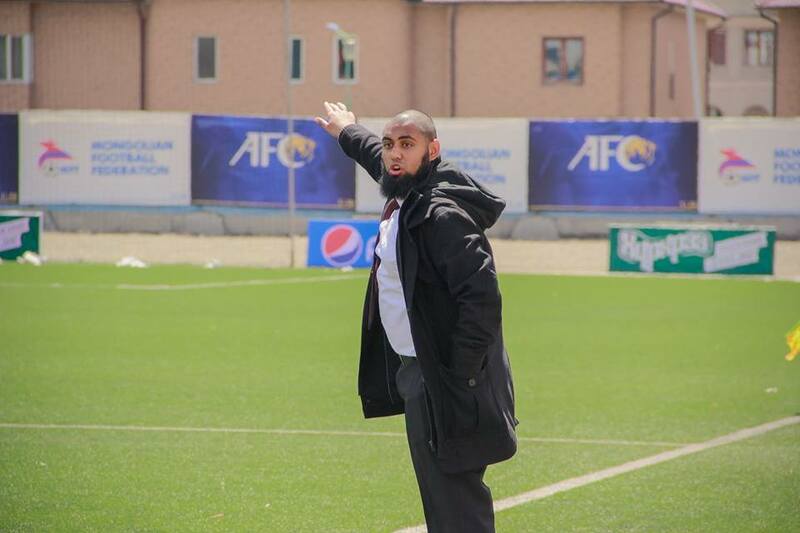 While Mongolia had seen the arrival of foreign managers in the past, Shadab is definitely one of the most high profile coach to work in the land-locked nation, bringing in his experience from his time at top English clubs. And the praises on Shadab continue to pour. “Ever since he was with the club the team has improved tremendously and the dedication and work has done for the club has been invaluably important for the club,” says Enkhjin. 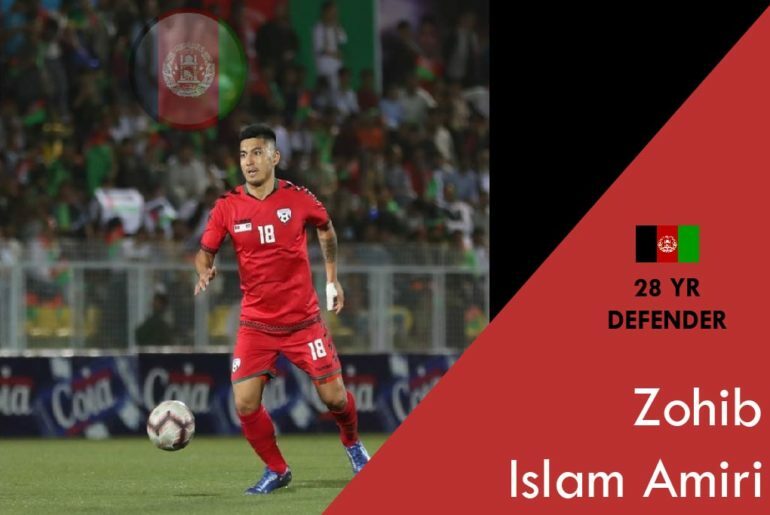 Shadab’s quick movement into the Mongolian way of things has seen him become a part of the Mongolian National Team set-up as well, acting as an assistant to the Head coach. Realizing that every country has its own unique style, the major difference between British and Mongolian football was the free-flowing nature of the game. “There is less intensity and more stoppages in the play,” says Shadab but is confident that the club is bound for greater things in the foreseeable future while referring to the rough start to the season. Infrastructure is essential in a successful transition into improving playing standards. Due to the lack of available financial funds, the Federation is currently struggling to build sustainable indoor pitches which could potentially translate into the game being played all throughout the year. As it stands, the nation currently has only one international standard pitch in Ulaanbaatar, which was built with the help of financial grants from FIFA. And yet the long-term outcome of Mongolian football is not hard to predict, if it continues to perform in its current path. There are a few hiccups within the overall structure of the game today but with the right officials guiding its development, Mongolia can soon follow a path similar to nations like Guam who are able to compete more broadly. Shadab is aware of the potential growth of the sport in the nation. While Enkhjin shared similar sentiments, going further to place an emphasis on the importance of people like Shadab.